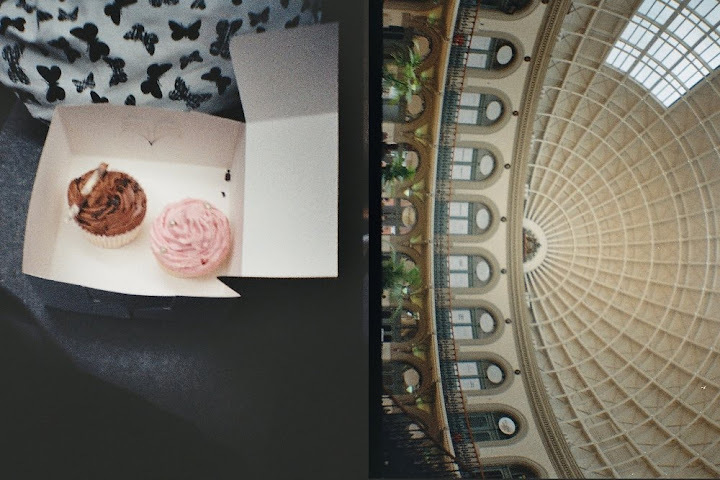 So these photos are a couple of weeks old now but I had to post them as I such a great day with one of my best friends. 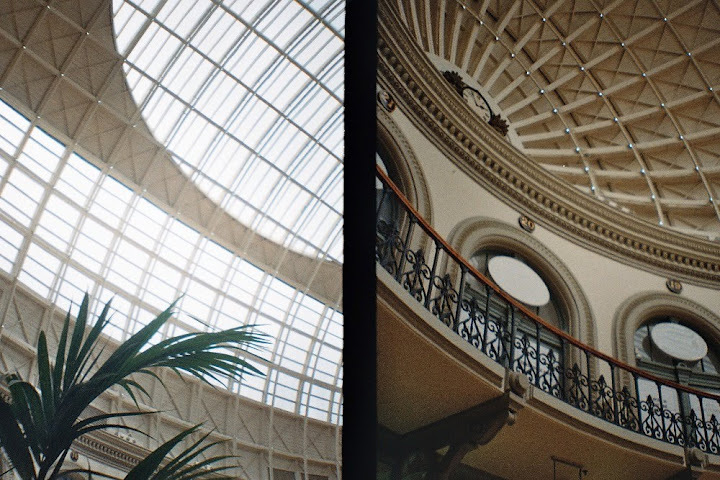 I've been meaning to take photos properly inside Leeds Corn Exchange for a while, the first time I went there in my first year of Uni, I completely fell in love with the building and I still love it now. 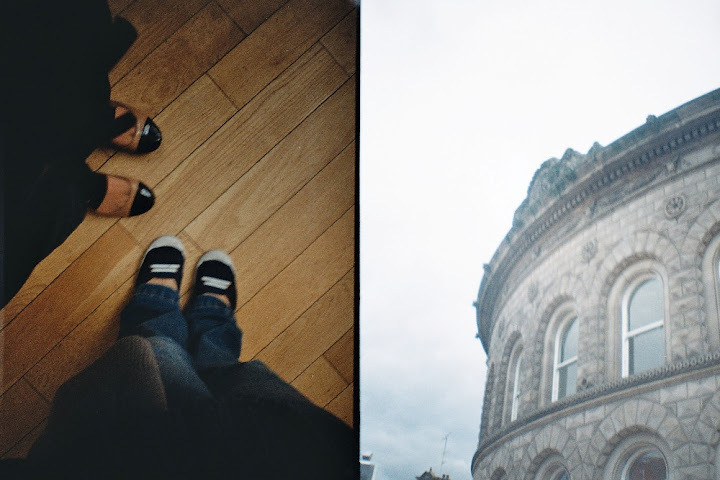 I'm so glad I had my Diana Mini with me that day. 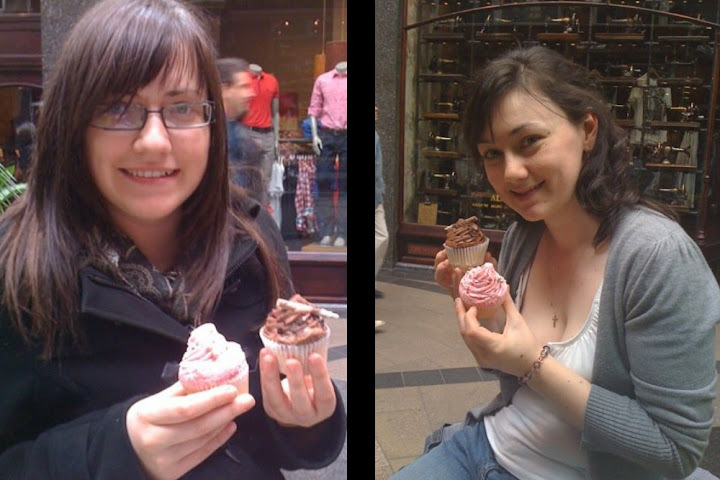 Even after we'd had pizza for lunch we went to Antony's Patisserie in there and got the cutest cupcakes - mine was the chocolate one. It was delicious! I love lunch dates with my besties!